A sought after vacation destination, Kerala is well known for its backwaters, beaches, wildlife sanctuaries, hill stations, Ayurvedic medicine and enchanting seasons. 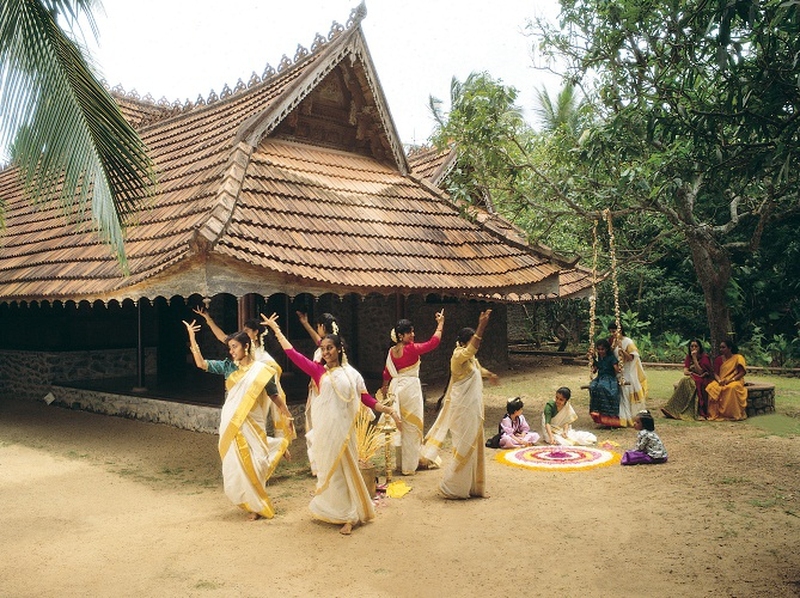 Each season has its festivals, distinctive traditions and culture, making Kerala a world wonder. Kerala tourist places are alive with adventure and scenic beauty from elephant watching to festivals and backwater cruises. Mist covered mountains and wooded valleys fill Wayanad with picturesque beauty. Atop this mountainous plateau in Western Ghats, you can enjoy the spice scented breeze or the beautiful landscape. Remain in the towns to tour the majestic temples and tombs, churches and mosques. Or adventure outside the towns to view the wildlife sanctuary, rock caves that date back to the stone-age and the gorgeous Meenmutty Waterfalls. There are many natural wonders to explore in Wayanad that reveals its rich history and tradition. Even during monsoon season, Periyar National Park is one of the most popular parks for visitors. Enjoy a tranquil safari on boat and round out your day with a view of the exquisite sunset. One of the most alluring aspects of the park is its elephants and 30 minute elephant rides through the jungle. Explore the jungle with one of the many eco-tourism activities such as hiking, bamboo rafting, night time jungle patrols, tribal heritage visits and trips to local villages for a memorable adventure. Crashing down from an astounding 80 feet, Athirapally waterfall is the largest waterfall in Kerala. During the monsoon season, Athirapally is one of the best places to visit in Kerala. Roaring through gorges lined with wild bushes and trees, the waterfall provides a cool, refreshing adventure even on the hottest days. The lush green forests next to the waterfall are home to many species including the Forest Cane Turtle and the endangered Great Indian Hornbill. Take your camera with you as you will not want to miss the photo opportunities. The ancient city of Thiruvananthapuram is the capital of Kerala as well as one of the best Kerala tourist places. It has been the spiritual center of kings since the 11th Century B.C. Take in the magnificent architecture of the Sri. Padmanabhaswamy Temple. This city is rich in art and history that can be discovered in its Palace Museum full of the royal families’ collection or The Government Art/Napier Museum full of archaeological and historical artifacts. Besides, The Zoological Gardens provides a leisurely walk as you explore the exotic animals of Asia. Munnar is absolutely one of the Kerala tourist places that should not be missed. As a tea lover’s paradise, Munnar has vast tea plantations. Take a tour of the tea plantations to watch as the tea is picked and processed, then enjoy a cup of fresh tea from the gardens. As you relax with your tea, you can take in the breathtaking view of misty hills and winding lanes. Get more adventurous and trek to the highest peak in south India, Anumundi, go rock climbing or explore the Eravikulam National Park. Munnar has lush forests which makes it a great place to get a glimpse of exotic plants and animals in their natural habitats. Muzhappilangad Beach located 5 kilometers north of Thalassery and is 5 kilometers long. The trip to the beach is beauty in itself with a winding, unpaved road through coconut palms. Looking out to sea is the picturesque horizon with Green Island just 200 meters away. The most unique part of this beach is the 5 acre Dharmadam Island that you can walk out to during low tide. 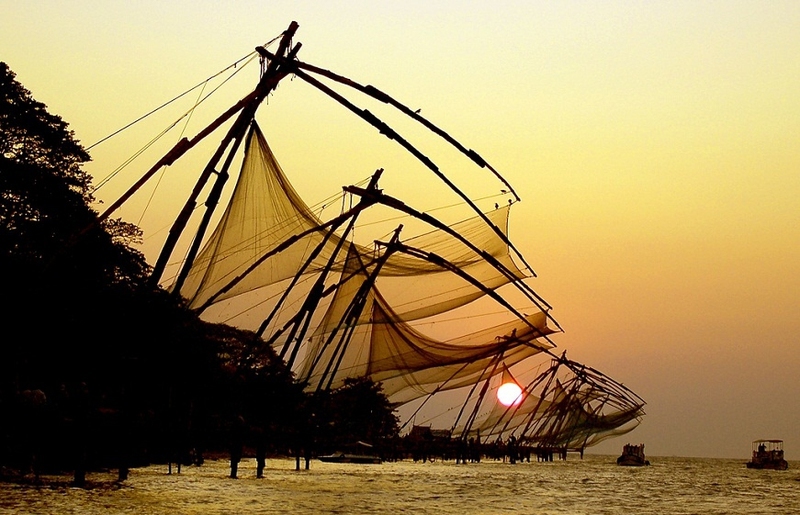 Widely known for its use of ancient Chinese fishing nets, Cochin is nicknamed the Queen of Arabian Sea. This port town is home to the oldest European church in India and the oldest synagogue in the Commonwealth of Nations. Both the St. Francis Church and Jewish Synagogue provide a historical timeline, along with Hill Palace, Mattancherry Palace, Fort Kochi, Willingdon Island and Santa Cruz Cathedral Basilica. 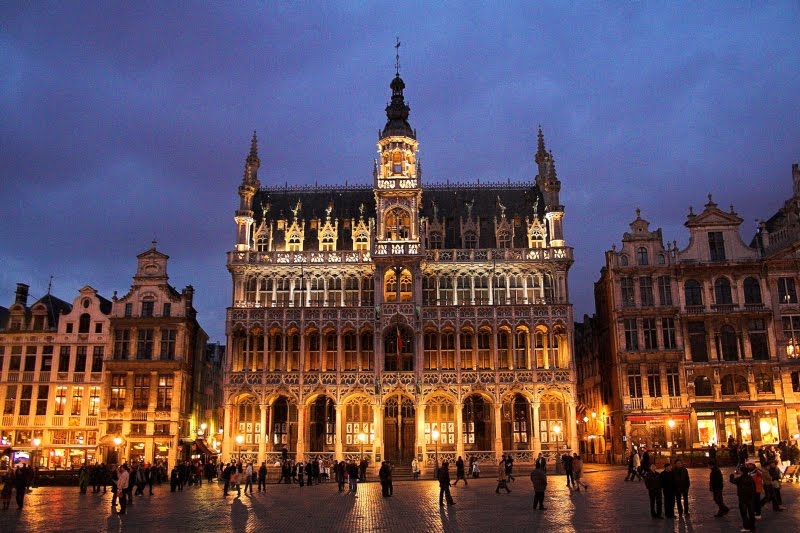 As you tour the city, the awe-inspiring architecture will keep you enchanted during your visit. If you prefer, you can spend a day on the alluring Fort Kochi Beach or explore the international marina. Among all the other Kerala tourist places, Thrissur gained its popularity as home to the Pooram Festival. When you visit during April, make a stop in the City of Pooram Festival to experience the Hindu Festival full of colors, music and traditional art forms. Over the years, the Pooram Festival has become more secular in character creating one of the greatest attractions for tourists. Enjoy the sights, sounds and caparisoned elephants. Thrissur is located 300 kilometers from Thiruvananthapuram. With the Arabian Sea in the West and a large network of lakes, lagoons and freshwater rivers, the Alappuzha Backwaters are known as the "Venice of the East". Alappuzha is a picturesque sight to see as you take any one of the backwater cruises. The longest is an 8 hour cruise from Kollam to Alappuzha. When you visit during August and September, take the opportunity to watch the Snake Boat Races. The Alappuzha backwaters are known for its many boat races and incredible houseboat rides where you can spend a relaxing day enjoying fresh Indian food while you take in the view. Located just 16 kilometers from the town of Kasargod is Bekal Beach. This beach, located in the northern part of Kerala, is a long beautiful shoreline perfect for a relaxing stroll. With Bekal Fort in the middle you can enjoy the architectural view, or the view of sunsets on the sea. This beach has all the amenities: clean beaches, god roads, etc. for an exceptional tourist place in Kerala.